While welcoming the officers various from Paramilitary forces posted in Papum Pare DC Tai Kaye said that it is indeed a great initiative by ECI of India for enabling e-postal ballot system for the armed forces to participate in the democratic process of the country. Lauding their selfless service to the nation Tai Kaye said that because of supreme sacrifices made by our forces, we are safe in our country. Resource person on the occasion EAC Itanagar Bomjen imparted training to the officers from paramilitary forces on ETPBS and its features for service voters enrolment through Power point presentation. He said that e-postal ballot has been introduced by ECI to enable every service voters to participate in the democratic process of the country. They will consist of armed forces of the central Govt, other forces subject to the provisions of the Army Act, armed forces of state serving outside that state and those employed under the Govt of India in a posted outside India. Voters entitled to postal ballots can download the postal ballot and print the blank postal ballot and after marking his vote in the e-ballot paper, it will be returned to the concerned Returning Officers by Post as in the present system. Bomjen further informed that as per ECI directions Postal department has assured that within 5 days period, the e-ballot will deliver to concerned counting centres. 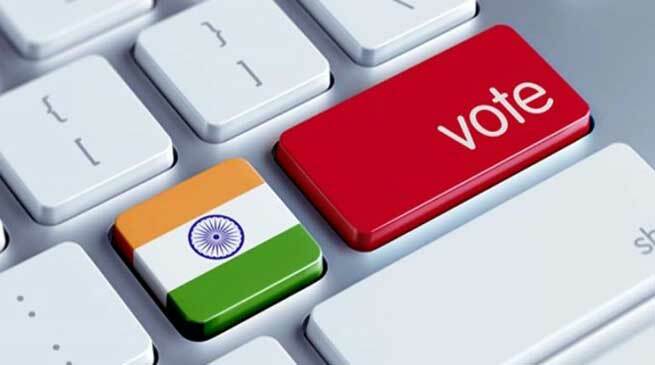 In the case of service voters posted in remote areas and doesn’t have mobile and internet services can authorized the unit officer in writing to download the e-postal on his behalf. ERO (Hq) Smti Mabi Taipodia suggested the officers present on the occasion to formulate system to implement ETPBS) for starting the enrolment of service voters and assured that district administration will be keep on updating if any new directions received from ECI. ETPBS is developed by ECI with the help of Centre for Development of Advanced Competitive C-DAC, for the use of the service voters. It is fully secured system having a two layers of security. Secrecy is maintained through the use of OTP and PIN, no duplication of casted electronically transmitted Postal Ballot is possible due to the unique QR code. This system enable the entitled service voters to cast their vote being ETPBS from anywhere outside their constituency. Officers from Paramilitary forces including ITBP, CRPF, Border Road Organisations and others attended the programme.